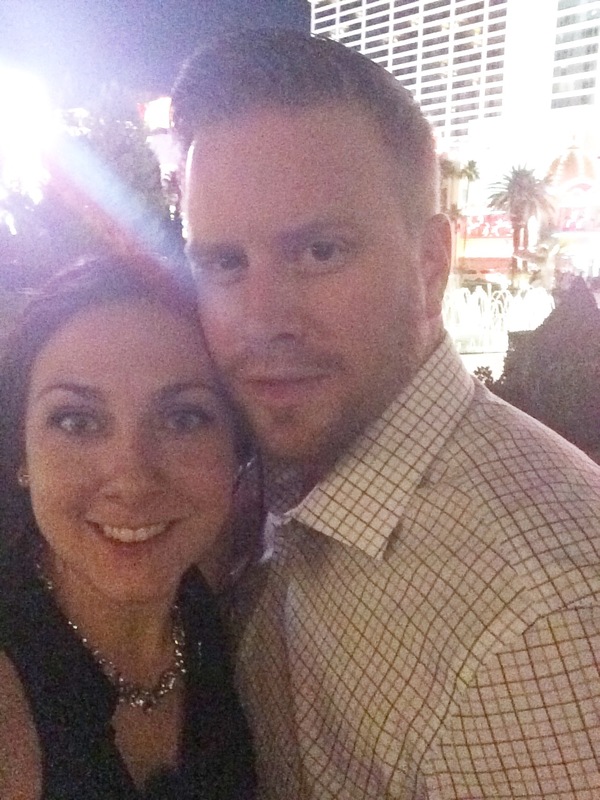 Evan and I had probably one of our best date nights as of yet in Vegas this past weekend. As we were going to be there with a fairly large group of people we wanted to make sure we had at least one night with just the two of us. We decided that Friday night would be perfect as most of the group would just be arriving that night, so we were guaranteed some alone time. We have been to Vegas a couple of times together now but we have never once gone for a nice dinner and to a show, we usually spend most of our time in shorts and flip-flops, shopping, wandering the strip and at the pools. We made it a point to pack some nice outfits and make a dinner reservation prior to leaving for our trip to ensure we would follow through with our plans. We had a 7pm reservation at Circo at the Bellagio and following that we saw the 9:30pm showing of Cirque du Soleils Love at the Mirage. 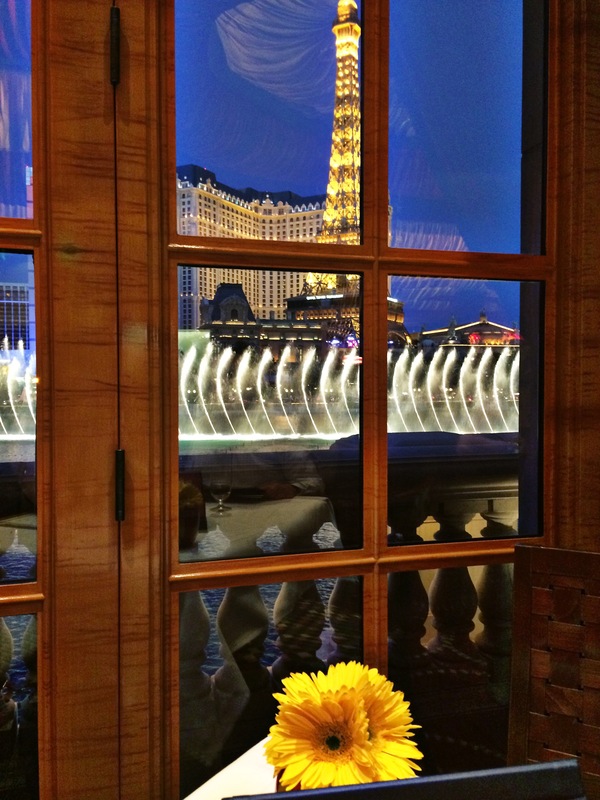 We were seated right at the windows at Circo, offering an amazing view of the Bellagio Fountains. It was really neat to be able to sit there and watch the shows as the sun set over the course of our meal. The service and the food was just as outstanding as our view, I would definitely go back again. After dinner we made our way over to the Mirage to watch the 9:30pm showing of Love by Cirque du Soleil. We have seen a couple of Cirque shows now and I have to say this one is my favorite so far. The show is just so upbeat and fun. It’s one of those shows that you could watch again and not be bored with it.